If you've been wondering where I've been lately, well this is what I've been doing! I've been creating and creating some more. 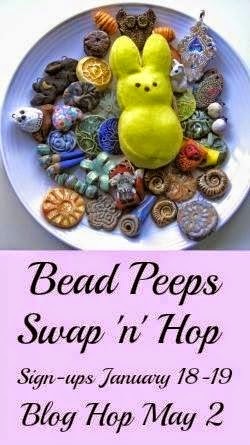 I signed up for the Bead Peeps Swap and Hop run by the lovely Linda at From the Bead Board. Basically a whole bunch of us signed up and were then partnered off. We sent our partners, beads, focals and clasps, the challenge being that we have to create from the items sent to us. We can use some of our own stash too as long as we use the focal and clasp sent to us. This year my partner is the awesome Janice from The Jewelry Room. Look what she sent to me! So many treasures! How gorgeous is this focal? Janice handmade it herself! I have to admit this is the piece I left till last. I wanted to do the focal justice and spent a lot of time making and remaking this necklace. I'm really happy with the overall look. I am absolutely blown away by this awesome clasp. Again handmade by Janice. I love how she was inspired by New Zealand. She also made the copper connectors in this piece. This bracelet with matching earrings were made with all the crystals in my package. I think the bracelet may be my favourite, just because of it's delicateness. I teamed these blue/green beads with a bronze round from my stash. I love how these beads look like the ripples on a lake. I have quite a few of these wrapped washers left over and plan to make a bracelet to match. I like the simple but striking style of 3 spheres together. The circle of Life. 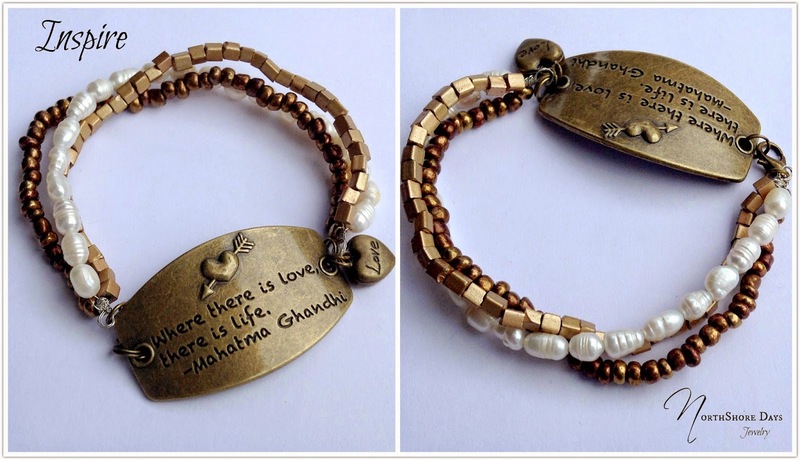 I used the river pearls and teamed them up with earthy tones and an inspirational quote, to give a feeling of peace and calm. 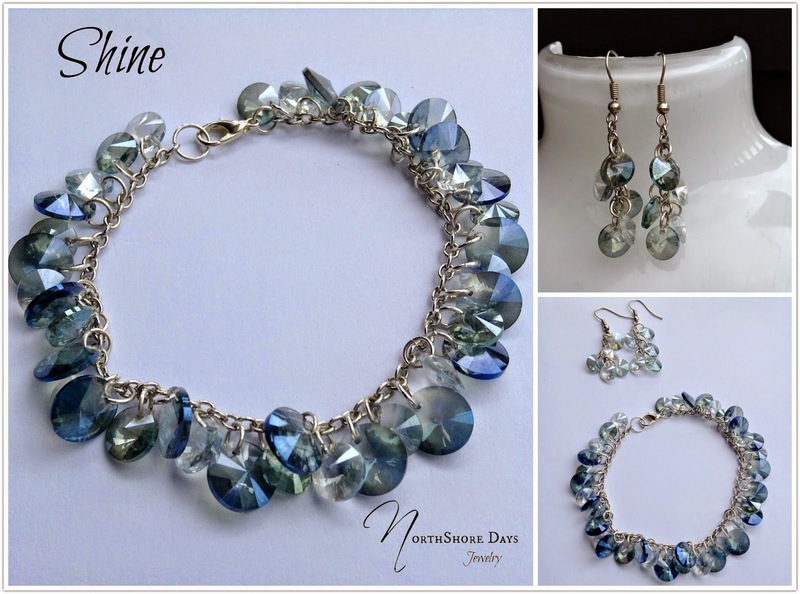 I just love these blingy blue glass beads and couldn't resist making earrings with them. I used these brilliant handmade connectors with the blue beads, they have such a magical feel about them. 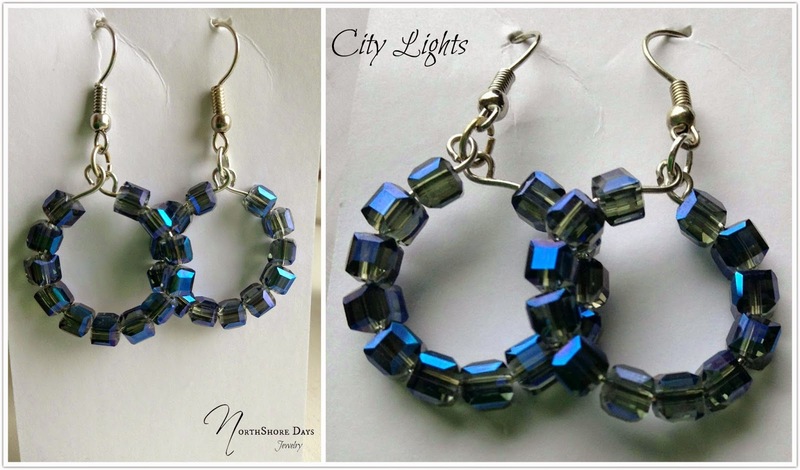 The second pair I made into hoops, they are really fun and would look great for a night out on the town. I am so inspired by all Janice's handmade items and I just love her connectors. These ones are my favourites, so I decided to make a very plain bracelet with them. I've worn it a few times already! Janice knows how much I love anything to do with the beach and these blue starfish are just beautiful. 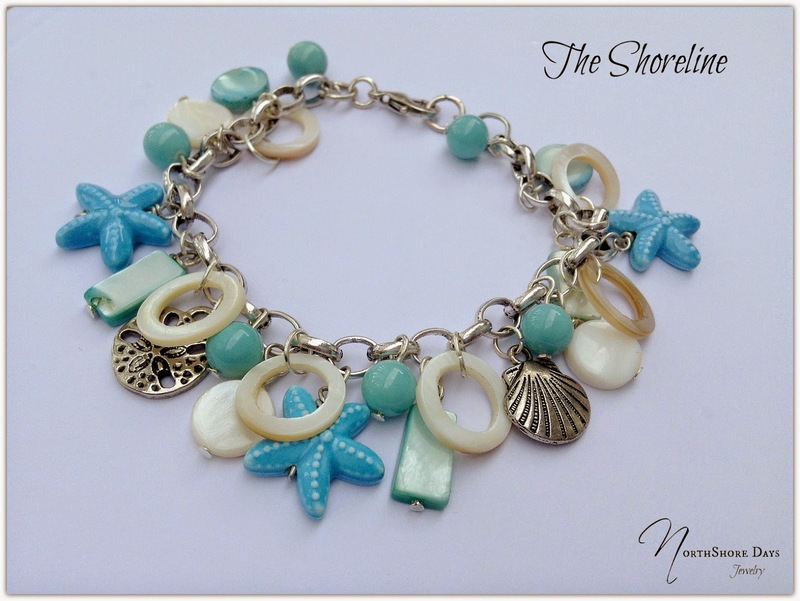 I decided to include them in a beachy charm bracelet. So cool! I hope you all enjoyed my creations. Don't forget to pop across to see my partner Janice's creations at The Jewelry Room. To follow all the other blogs taking part in the Swap and Hop - head on over to Linda's blog for the full list at From the Bead Board. I especially love the first bracelet. As always, I'm amazed by how well you mix and match the beads to create so many beautiful pieces. I am amazed at the talent we have in this swap and hop. You received a gorgeous stash of beads and did them justice. I especially love the large clasp bracelets. 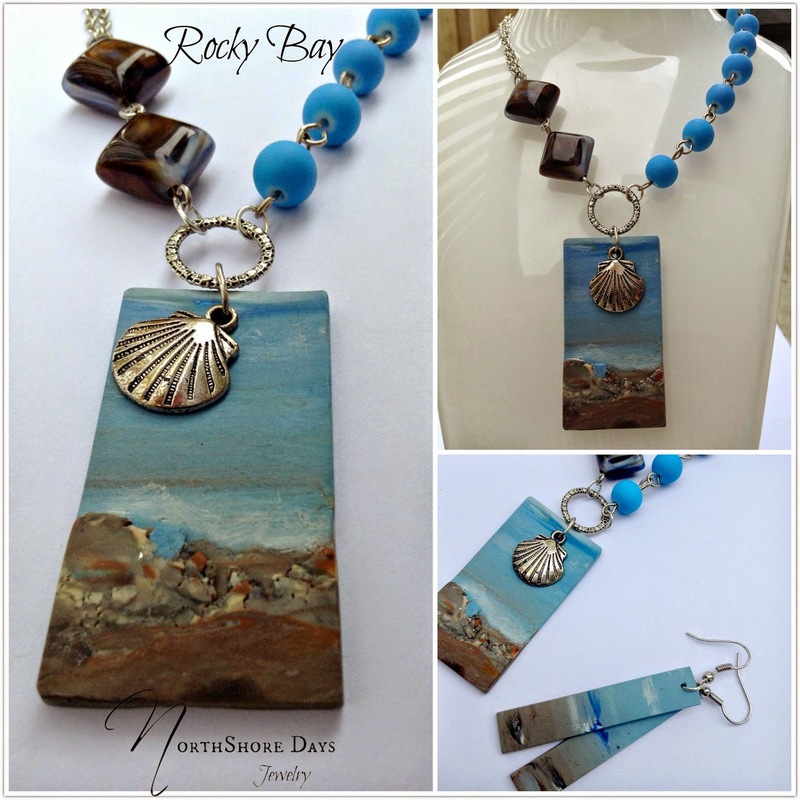 I saw the Rocky Bay & noted to myself my favorite piece in this collection. Then as I go on, I find the Arabian Nights. They both have different qualities that show the work you & your partner really put into this challenge. 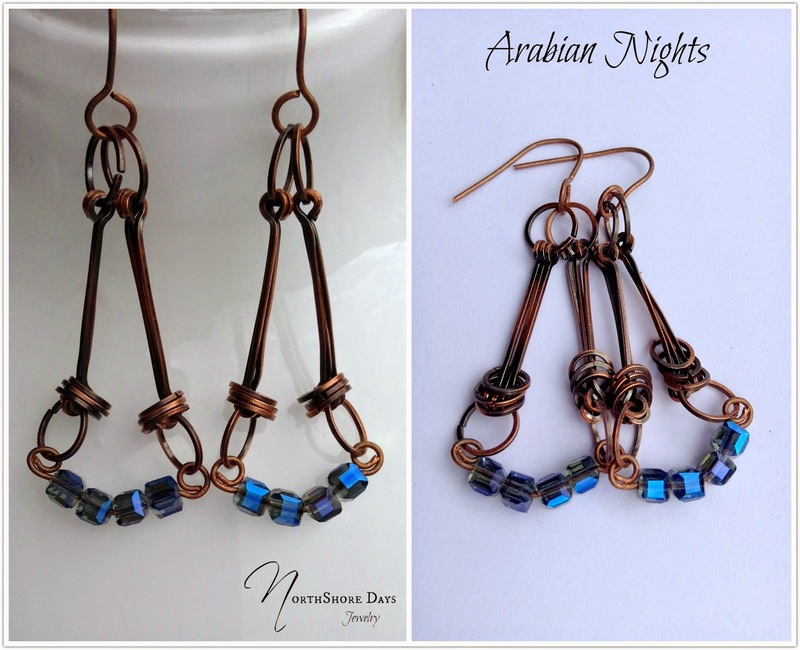 The Arabian Nights is so inspiring, I must make a pair for myself! I just love all the copper connectors that your partner sent you and the uses that you put them through. 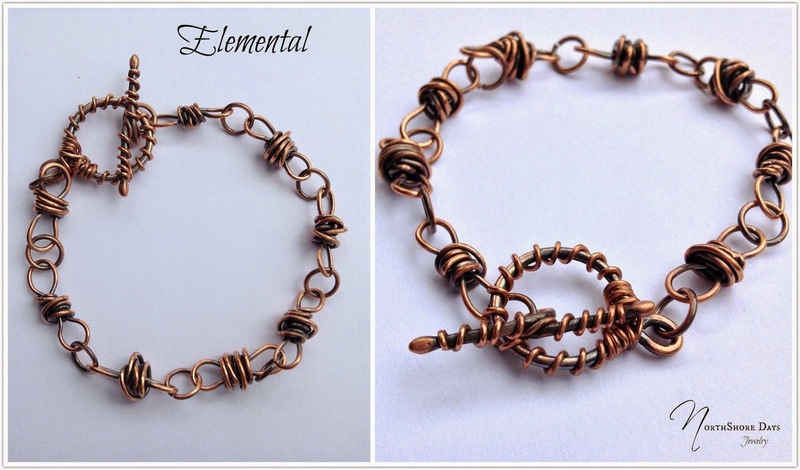 While I really liked all the design, I know that it would be the plain copper bracelet that would see regular use by me though that first necklace would go perfect with a dress I bought last week. Oh my goodness! I can't even speak of how BEAUTIFUL your pieces are! SO gorgeous! SUCH imagination and VERY creative! 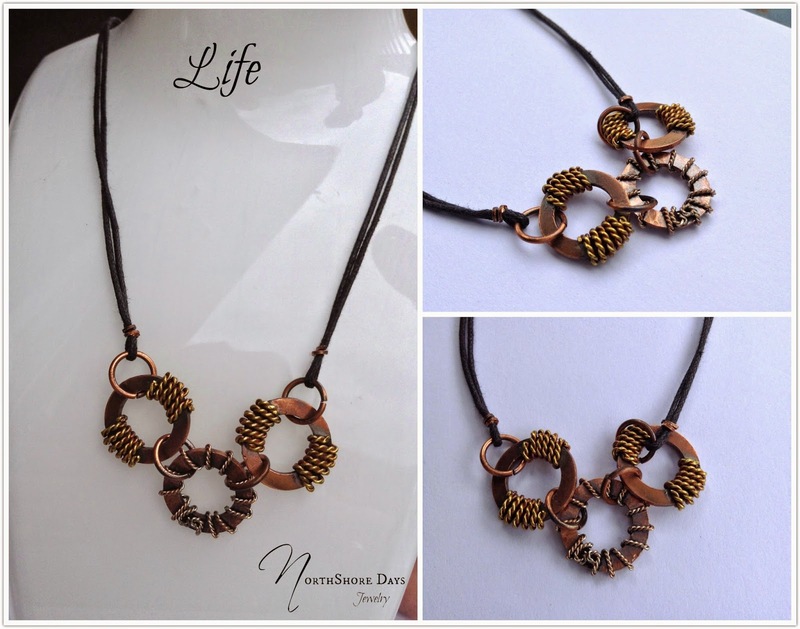 My favorite pieces are the first necklace and the all copper braclet - just so lovely! GREAT WORK! I'm quite jealous of all the rustic wire work you received. You created beautiful jewelry designs with your swap components. That copper connector bracelet is my favorite and your beachy designs are delightful. Oh my gosh! How many times can I say gorgeous?! 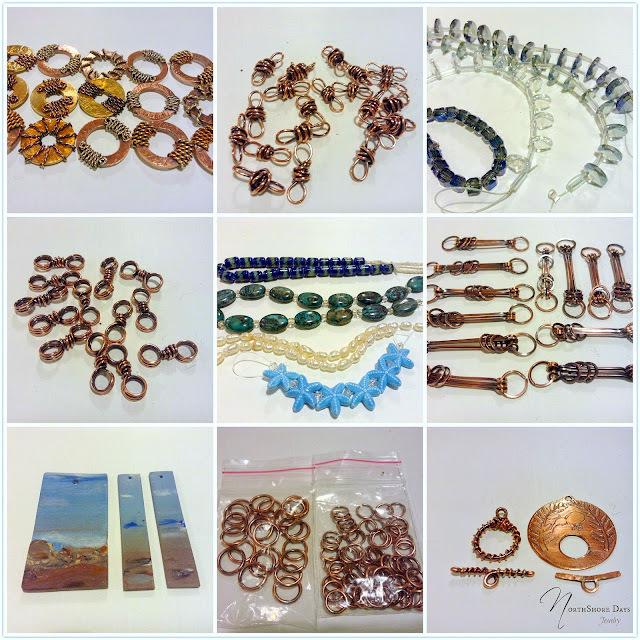 I love, love, love all of the copper connectors and pieces you received, and how you incorporated them into your designs is awesome! Where to start? The first necklace is awesome - you did a great job balancing the focal without overpowering it. The Kiwi bracelet - how gorgeous is that clasp?? LOVE! Shine and City Lights.....so much sparkle! where are my sunglasses? The shoreline....a gorgeous representation of the sea.....spectacular spectacular job on everything! I love all the awesome things you made! 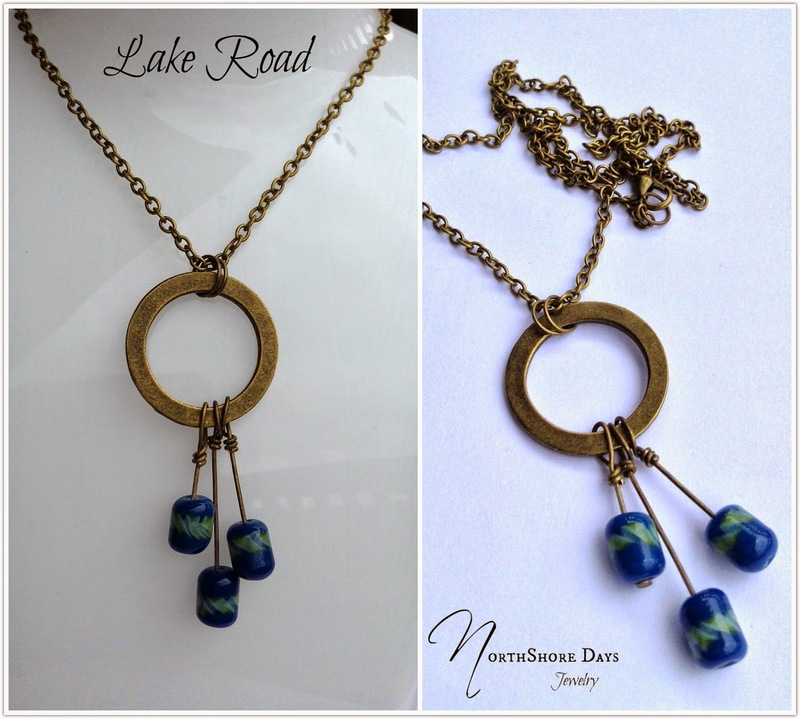 I think my favorite is the necklace you made with the brass hoop and ripple beads though! I love the changes in weight from the hoop to the headpins to the beads! Great job! Loving all the gorgeous pieces you made from that wonderful stash of beads. The 'shoreline' bracelet is a beauty. Your first necklace looks amazing i am loving how you complimented the focal. Now that's what I call a collection of beadie wonderfulness. I would have been overwhelmed with all that you had to work with. how to decide. Love your first necklace! you have really showcased her focal well! you have made a virtual wardrobe of jewelry. something for every occassion! I especially love the copper bracelets and the 2 simple necklaces. You have a superb talent! Your partner sent you some lovely items and you did justice to them all. You have some great designs that I love. Well done! Natalie what a wonderful job on all of your designs. Very eye catching. Love the kiwi bracelet. A fantastic collection of beady goodnes you created. Oh my I have no idea where to start. I LOVE what you did with those connectors and the beachy bracelet is my FAVE! I also love the inspirational quote bracelet. Can I have them all! Everything is so lovely, but the Arabian Night earrings are my favorite! Great job! Lovely designs! All those copper components are fabulous. You really created some great combinations with them! Beautiful wire wrapping the bracelet with the star fish is my fav. Awesome useage of the components. Love the combinations you came up with. The Kiwi Days is very attractive ! I like how you have made both intricate, ample and asymmetric pieces, on the one hand and simple, with just a couple of elements, on the other. All are beautifully structured and color coordinated. 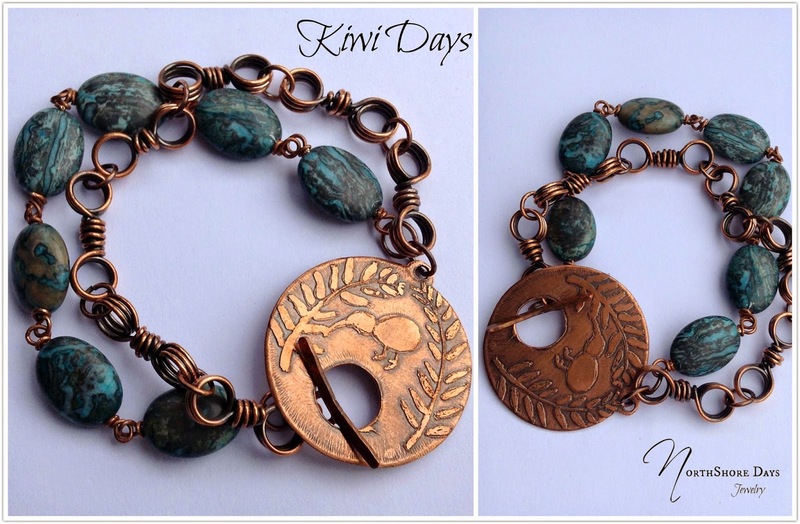 The Kiwi Days bracelet is my favorite! Lovely designs! You created so many - and each is a work of art! The focals and the kiwi clasp really were stellar! WOW! I am blown away by all of your lovely creation. You did a fabulous job. The handpainted pendant is totally awesome and your creation showed it perfectly. The starfish bracelet is lovely too.